Before moving to Spearfish Lisa in 2016 had been working in the security and Cloud Software industry. 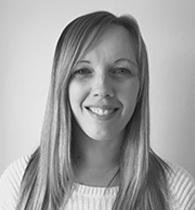 She is skilled in Invoice Processing, Profit/Loss Accountability and Financial Management and a strong professional support with a AAT Level 4 Diploma focused in Accounting Technology/Technician and Bookkeeping from Basingstoke College of Technology. Lisa is currently furthering accounting knowledge by studying ACCA Professional Level 7 accountancy, to become a fully qualified Accountant.